Austra thing and Kill Uncle Re-issue. Only half of that very short list has anything to do with Record Store Day. 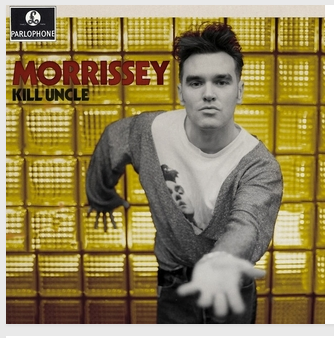 I saw on some blog that Austra is releasing a special thing for that day, but I probably won't be able to find it, and I just heard this morning that Morrissey re-issued Kill Uncle on vinyl and I'd like to own it. I looked it up on Amazon and it's listed at $42, because it's new. I added it to my wishlist, and then thought about how I'll see if I can buy it when I'm going around to different stores on Record Store Day. I only really plan to go to like three stores because we'll be high on pot brownies, and I also think we're gonna try to go to brunch that day. I guess I just wanted to check in and say hi? Wait, no. This was my official Record Store Day post. It goes something like this: buy a record if you want to buy a record, or don't. You can probably find it on the internet later. Or maybe you won't. There's always brunch and pot brownies, which you can just have every day. You can buy records every day too. You know that, right?